The demand for timber windows has been steadily rising, and so has the demand for competent companies who can install them expertly to ensure that consumers end up with a product that will last them for a long time. Installation of timber windows is a tricky affair and this is why we have gone to the trouble of providing this list of the very best crystal timber window companies in the region. The service providers on our list have all undergone rigorous vetting processes to ensure that they are able to deliver the final product to the consumers. If you’re looking for an installer for timber windows, there are several steps you should follow to ensure you get the best deal possible. Look up the company profile: Crystal windows provides a short description of every company including the services they offer, their physical address, the regions they cover and their contacts. Check out the reviews: The companies listed on our site are regularly reviewed by customers who have actually used their services. It’s a good idea for you to go through these reviews to find out how the companies work and whether or not they are the best fit for you going by other people’s experiences. Make a shortlist: When choosing crystal timber window companies, it’s always good to make a shortlist of the different companies you’re interested in. There will always be more than one option available for you and making a shortlist is a good way of whittling down the available options. Follow up and get a quote: Make use of the contact information provided to follow up with the company so you can talk to their timber windows service experts. You should also get a quote for the amount and type of work that you need done. You may also conduct a follow up with past customers of the specific company. Timber Windows are unique not just because of their looks but because timber is a renewable resource that can be replaced. This, however, can only happen if your installer knows the right type of wood to use for the job. 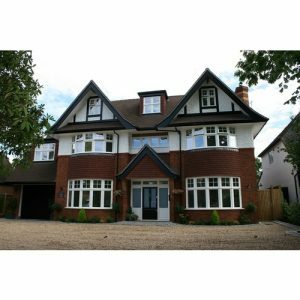 Crystal Timber Windows Companies are vetted and have long standing reputations of using materials that are in line with the industry standards which ensure that these materials are used without harming the environment. Timber is also a sensitive material when it comes to windows. If the timber is not properly treated or installed it will not be able to withstand the elements. Crystal Timber Window companies have been vetted to ensure that the work they do is of high quality. The companies on our list are also insured to ensure that you are protected from any eventuality during the job. Most of the companies also offer guarantees or warranties on the jobs that they do. This is proof that the Crystal Timber Windows Companies are ready to stand behind their work.